Starting from 2019 local authorities on Bali plan to impose a USD $10 levy on every foreign tourist who enters the popular tourist island. Meanwhile, the levy on the entry of a domestic tourist would be IDR 10,000 (approx. USD $0.70). Bali Governor I Wayan Koster said this new levy should add around IDR 1 trillion (approx. 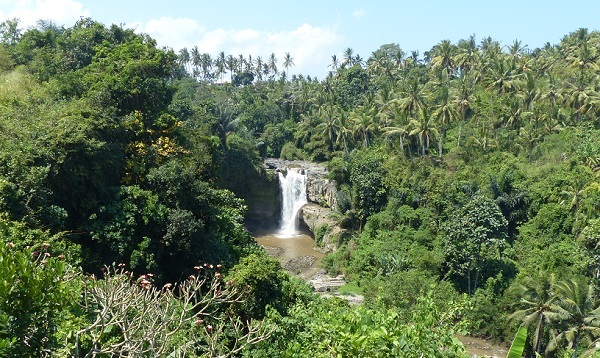 USD $67 million) in additional local revenue as Bali is expected to be visited by some 7 million foreign tourists in full-year 2019. The additional income that will be generated through the new levy will go to the local budget for cultural development and environmental preservation. "Considering presently only a 10 percent tax applies to hotel accommodations and restaurant meals, the new levy would generate more local revenue," Koster said. Various other countries have a similar levy, he added. The additional proceeds would be invested to improve a wide range of services that are offered to tourists, including infrastructure and transportation. However, it will also be used to boost the local economy and improve the quality of local human capital. For example, 1,493 traditional villages in Bali (desa adat) as well as various high-schools and health clinics (puskesmas) are expected to get free WiFi facilities in 2019 through the budget. In the January-September 2018 period a total of 4.6 million foreign tourists entered Bali through Ngurah Rai International Airport, up 1.32 percent compared to foreign visitor arrivals in the same period one year earlier. Natural disasters, however, remain a threat and can result in the failure to meet foreign visitor arrival targets. In late June 2018 Ngurah Rai International Airport had to be closed temporarily due to volcanic ash stemming from Mount Agung's eruption, located in eastern Bali. Mount Agung rumbled back to life in 2017 and has been erupting periodically ever since. The volcano erupted five times in late November 2017, causing thousands of people to evacuate, disrupting air travel and causing environmental damage. Meanwhile, recent earthquakes around Bali and Lombok as well as a devastating tsunami in Central Sulawesi (all caused by heightened tectonic activity in the region) could make foreigners somewhat hesitant to visit Bali (or other parts of Indonesia). Impossible! In Indonesia everything must be paid in Indonesian rupiah.